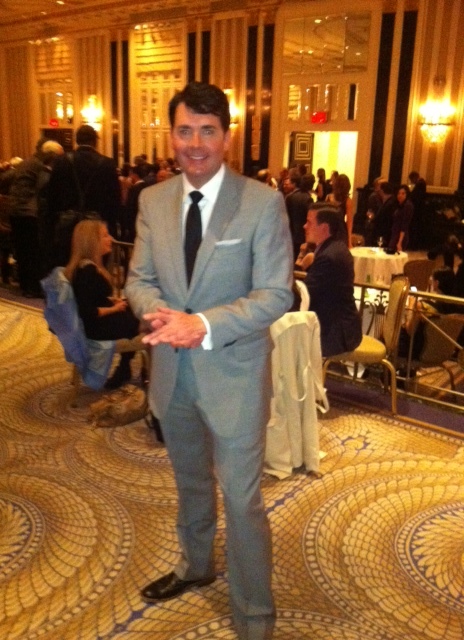 John Bathke Honored At Deadline Club, Waldorf Astoria. There’s no finer place to lose an award the Waldorf Astoria. I can tell you that without fear of contradiction. I have done it, just this past Thursday night, in fact. I was a finalist for a Deadline Club Award, one of New York’s most esteemed journalism honors bestowed to national and local journalists in television, newspaper, magazine and all forms of online media. The awards dinner is held annually at the glittering, opulent, oh-so New York, Waldorf. The work singled out by the Deadline Club judges is a piece that means a great deal to me..an emotional, riveting and completely in the moment account of emergency rescues performed following a tidal surge caused by Superstorm Sandy. Three towns in Bergen County, New Jersey suddenly flooded leaving thousands stranded. I’ll never forget the people who we met that day…being pulled to safety from their homes, others coming to a shelter looking frantically for relatives. It was a crucial story to be told, and I believe we did it justice for all those residents suffering the storm’s wrath. In the end it was coverage of Sandy by another television station that claimed the award, but to be one of three finalists for an honor as prestigious as the Deadline Club, is an award in itself.